In the run up to the wedding there are bridal gown alterations but it's not easy to get bridesmaid dress ideas either. One style or colour dress has to fit a variety of people, styles and body shapes. The best way to get the perfect fitting bridesmaid dresses is through alterations. 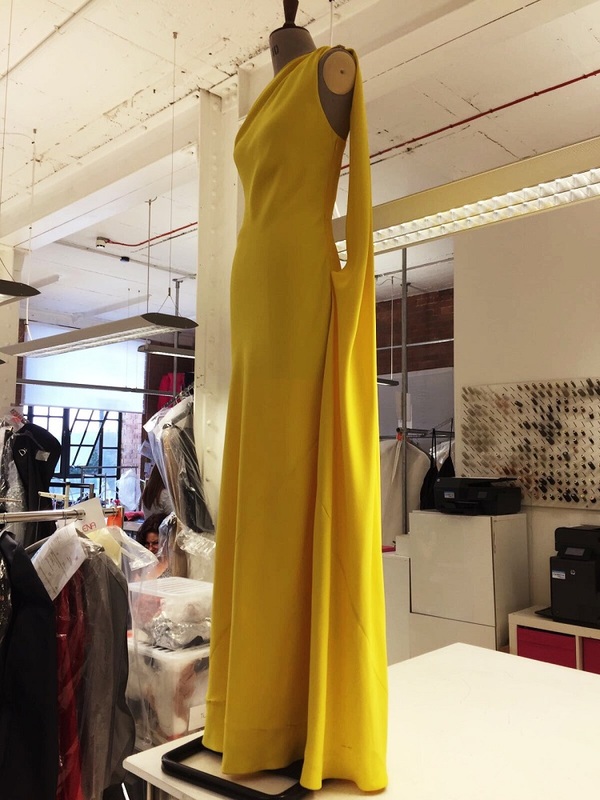 To get some much needed inspo for couture bridesmaid dress alterations, here are some of the garments currently in our studio. 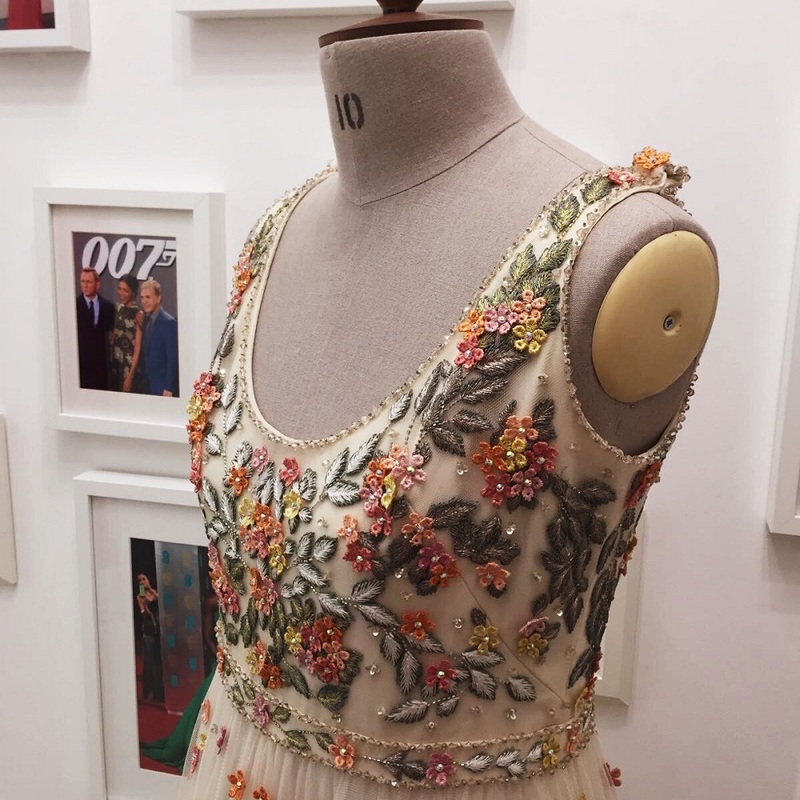 This beautiful beaded Alexander McQueen dress is subtle in colour and intricate in embellishments. 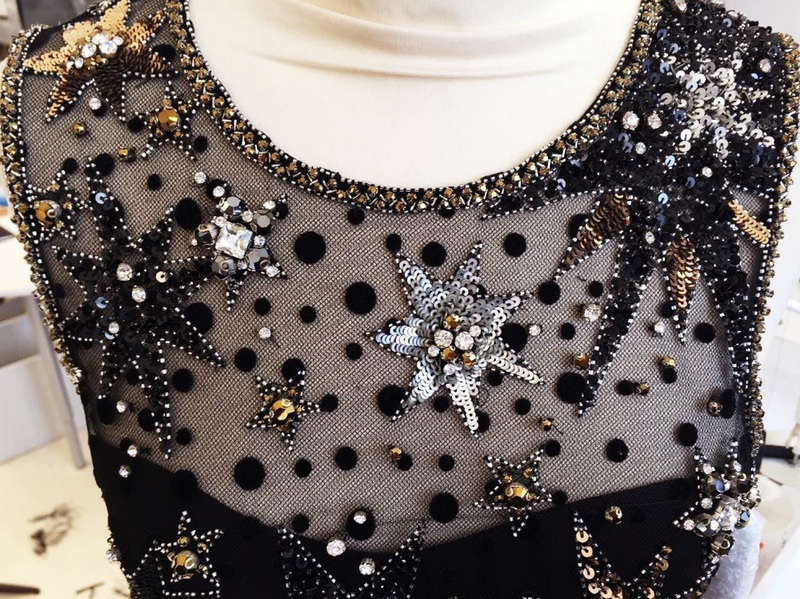 This allows the beading and sparkles to do the talking. We are shortening the hem which is one of the most popular alterations for evening dresses. A good rule of thumb to get the perfect length is to bring the shoes to your fitting. We shortened the hem on this Jenny Packham evening dress and used the cut-offs to create ruffled sleeves. The starry design is perfect for a winter wedding. Whereas, the velvet dots that are also in the pattern are oh-so on-trend. See the finished dress alterations in this video. 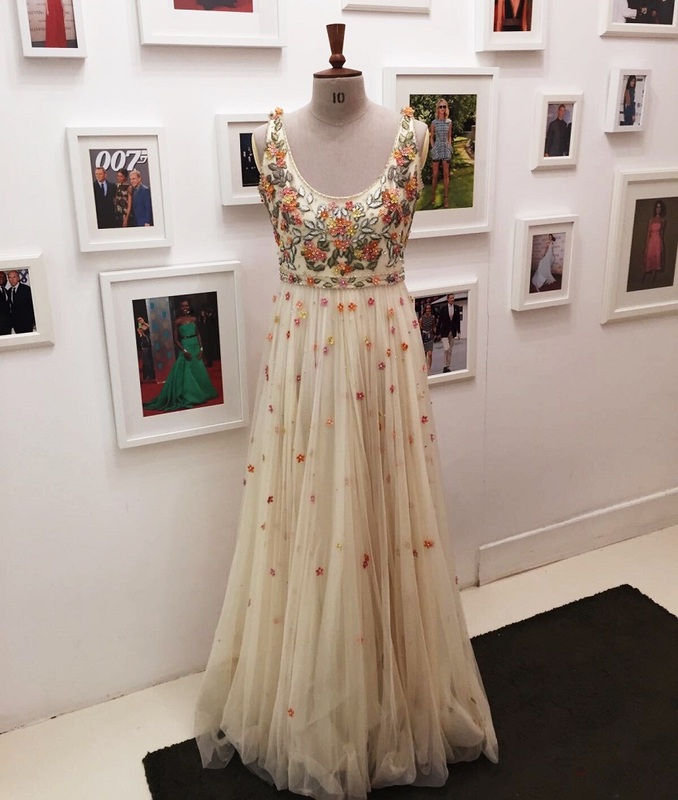 This bright Dior evening gown is perfect for a vibrant summer wedding. Plus, the modern take on the eighties style single-shoulder is a must for SS17. 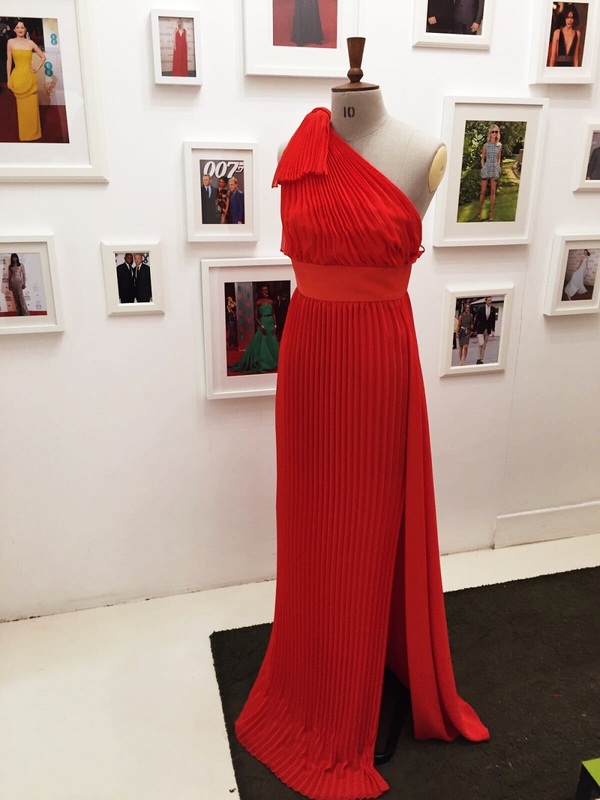 Goddesses will come to life in this stunning red Elie Saab evening dress. Another great example of next seasons one shoulder trend. We are lifting the shoulders and reducing the body. 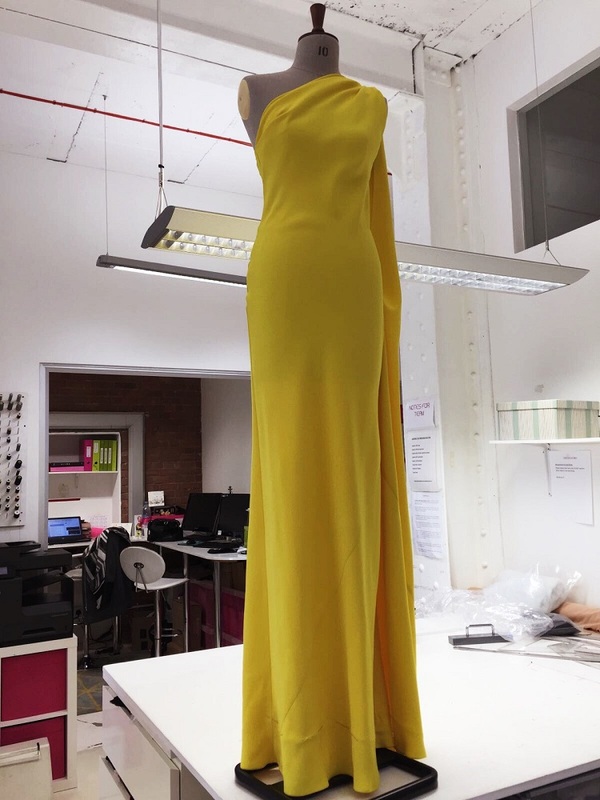 Taking in the dress will create the best fit for our client. Feathers and flowers abound with this Dennis Basso evening gown in blue. The Cinderella style is a great addition to a fairytale wedding. Our tailor, Tatjana is shortening the hem with a raw edge. This keeps the finish as original and our alterations invisible. 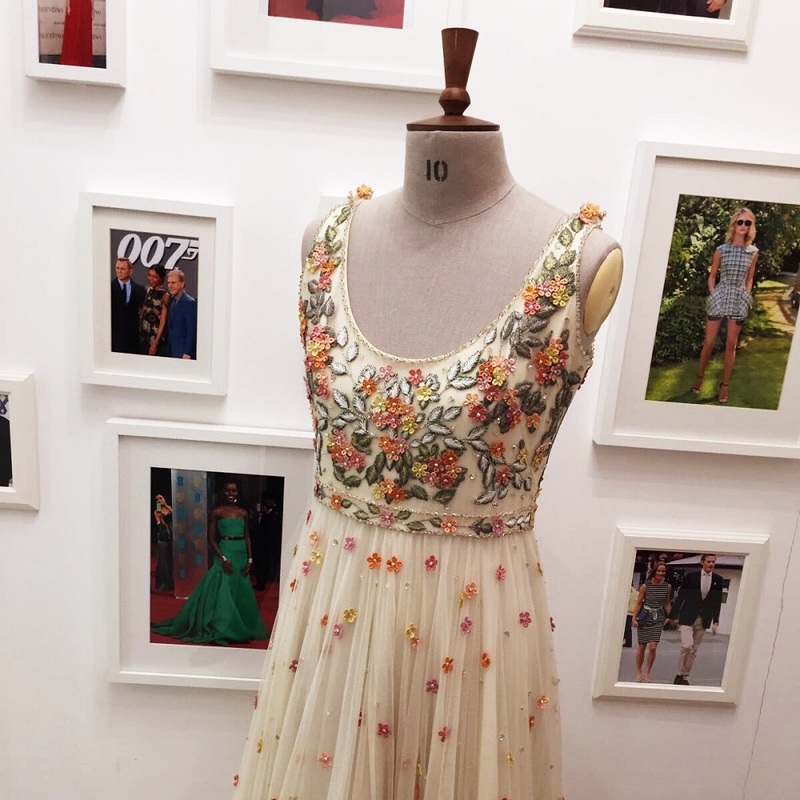 Bright floral embroidery brings this Jenny Packham evening dress to life. 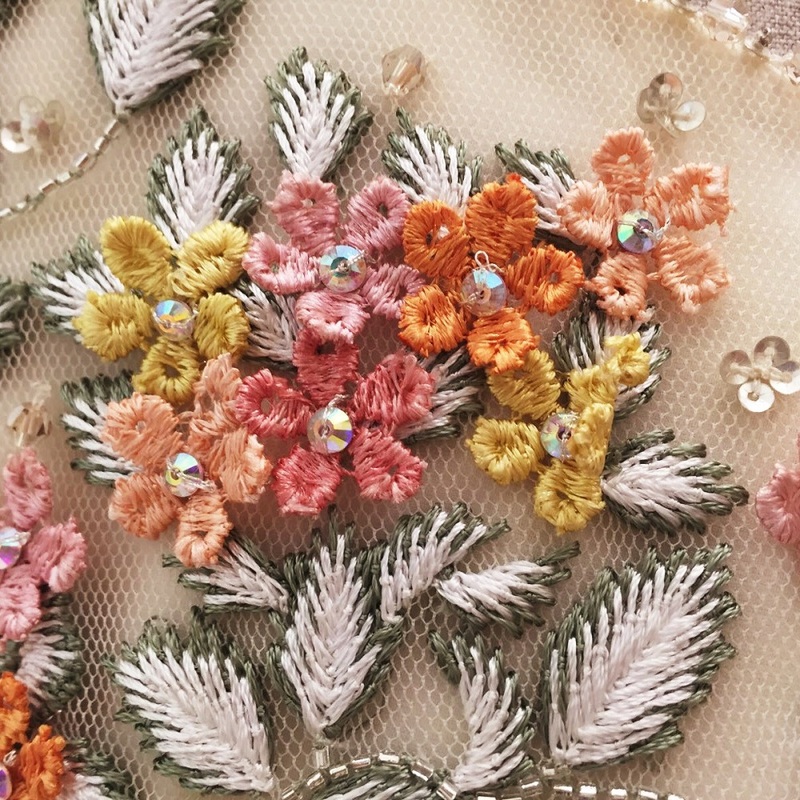 The ideal compliment to a boho wedding. We are lifting the shoulders, creating sleeves and shortening the hem.